According to espares.co.uk there are spare/replacement bowls for kmix appliances - not the cheapest mind! I used to have a big Kenwood but gave it away when we moved here because I have a tiny kitchen and now never bake. But for the 20 years I had it I loved it - mixing 6 Victoria sandwiches at once for a bake sale was an absolute doddle and so was the mix for fool-proof shortbread that gave 48 bars at a time :-) Chuck it all in and turn the switch for the sponge cakes, cream the butter and sugar and then add the flour a scoop at a time for the shortbread - sore hands can be ignored! Hi Eileen, thanks for that link. It does make big batch baking so much easier doesn't it. I find myself looking at recipes I would have dismissed as too 'arm-intensive' before. This is a really useful food mixer review. 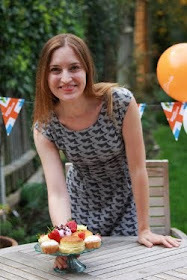 My 20yr old daughter has arthritis & is a keen baker, although finds it difficult, so we were looking for a suitable mixer and other helpful gadgets to get for her birthday. What other essential kitchen/baking equipment would you recommend? Think your whole site is tremendous & so helpful. Thank you and glad it's been helpful. 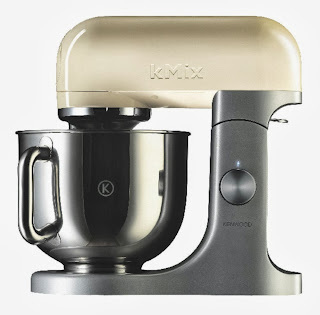 The kMix would be a good choice I think, although the other Kenwoods are very good, the kMix is a bit more stylish - certainly for a birthday present. Some silicone bakeware could be useful - Lakeland and John Lewis both sell some of the more sturdy kind and it's very light and easy to wash up. I also find a non-stick mat very practical- you can slide these straight onto baking trays or just use them to work on. A nest of plastic bowls or a good rubber/silicone spatula would be helpful. I hope your daughter has a lovely birthday! Thank you so much for helpful reply - better start saving! My gripe with food mixers is that I cannot double a recipe, usually? I have been using a fruit cake recipe for over 50 years originally from a small McVitie's recipe book. However I have in the past and by hand, doubled the recipe and made 2 at a time. It is really a great post. It is about the KENWOOD KMIX . It is very easy and comfortable to use. I am also using one of this. I am using this for many time. And always keep me happy.You should also try this Best stand mixer.